When you think about epilepsy, you probably think about seizures. The hallmark of this disorder, it’s seizures that often create the need for an epileptic to see a dentist more often than most. But both the disorder and its treatment can make good oral health or a routine visit to the dentist a challenge. Even so, people with epilepsy can, and should, see the dentist on a regular basis. Unfortunately, many of the medications used to regulate seizures can cause other oral health problems such as bleeding gums, overgrown gums (gingival hyperplasia) and even swelling of the tongue and ulcerations due to a B-12 deficiency. These same drugs can also impact absorption of vitamin D, a mineral that helps strengthen teeth and bones. The best way to combat these issues is practicing excellent oral hygiene, including regular visits to the dentist. Keep a daily routine as normal as possible and schedule appointments around likely known times/conditions for seizures. If helpful, use eye covers, ear plugs and/or soft music at your appointment. Make sure your dentist and hygienist are aware of your epilepsy. Make sure to let them know what medications you are taking and if you have had issues with anesthesia in the past. In addition to any medications you are taking, you may want to consider telling your provider about your seizure type, frequency and triggers. Letting your provider know as much information as possible prior to your appointment can help ensure a safe and comfortable visit. If any professional in a dental office is not sensitive to your needs or is not willing to work with you, then choose another provider. 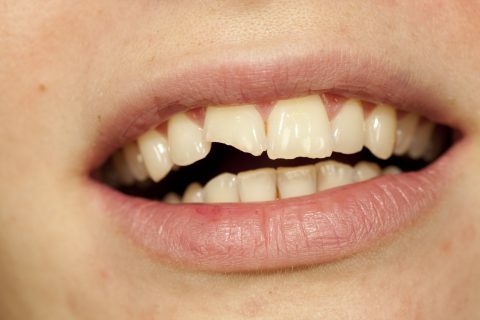 Studies have shown that epileptic patients tend to have more missing teeth and are less likely to get them replaced. However, as long as your health care professionals agree, it is generally beneficial to get your missing teeth replaced. If dentures, implants or oral surgery is being done, make sure your doctor knows all drug interactions and uses materials able to withstand the intensity and frequency of seizures. Unfortunately the unpredictable nature of seizures can sometimes make them hard to prevent, so it’s important to have a plan in place when one does happen. Be sure your dentist is aware of what to do so that they can react as quickly and calmly as possible in the case of an emergency. A written plan should be in your file and/or carried with you and shared with them. While there are many important health considerations for those with epilepsy, regular visits to the dentist and good oral health habits need to be a top priority. Finding a compassionate and knowledgeable dentist and dental team is the first step in getting the level of good oral care you need. Find a PERFECT TEETH dentist near you today, or call 844-717-9588 to get scheduled.